With Disney Cake Mapping you can customize your cake to your heart's desire while transforming your dessert into a reception focal point- and watch your favorite Disney films come to life! 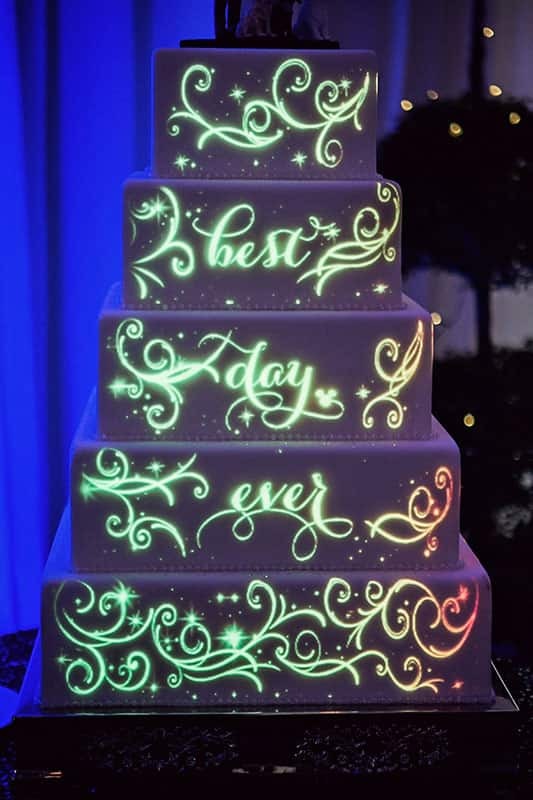 This Wedding Cake Wednesday, feast your eyes on Walt Disney World couple Nathan and Brian's stunning creation. Soar over London with Peter Pan, follow Sorcerer Mickey through his Fantasia journey and take to the sky with signature Tangled lanterns. Be sure to check back on the blog this Friday to see the rest of this amazing wedding...trust me, you won't want to miss it!